Catapults have been used throughout history to launch heavy objects into an enemy’s camp and hurl items long distances and over walls. 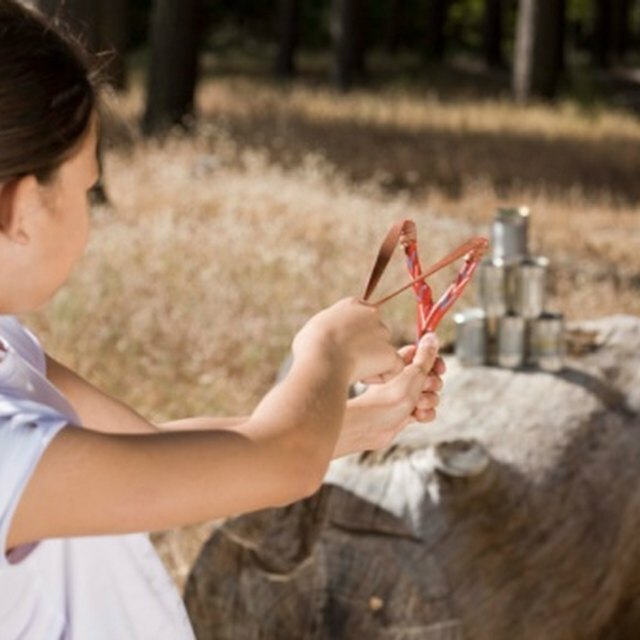 Building your own catapult is a perfect science experiment for learning about tension and seeing firsthand the power that it can create. You can make a simple cotton ball catapult using some basic materials that you may already have in your home. Once you gather your materials, the entire process should take less than five minutes. Cut off the top of a small box. A long tissue box works well for a catapult. Just use a box cutter to remove the top of the box where the tissues come out, cutting right at the edges. Turn the box upside down. This will be the frame for your catapult. Make a cut into the box just big enough to insert your spoon handle. The cut should be about 2 inches from one end of the box. Slide the tip of spoon handle into the box. Tape the spoon into place by turning the box on its side and wrapping masking tape around the tip of the handle inside the box. Then, wrap masking tape around the spoon handle outside of the box, just above the top of the box. This will keep the spoon from sliding down into the box as you use your catapult. Attach two rubber bands to the spoon. Wrap each rubber band around the handle of the spoon and pull one end of the rubber band through the other end to hold it into place. Attach the rubber bands to the box. You can either tape the rubber bands to the edge of the box on the outside, or you can cut small slits in the box right at the edge and tuck each rubber band into a hole. Place your slits about 1 inch to either side of the spoon. Pull each rubber band so that it gives just enough slack for the spoon to stand upright. Tape the rubber bands to the box. If you have made slits in the box and tucked the rubber bands in, you will be taping them to the inside of the box. Launch a cotton ball. Just place a cotton ball on the spoon, pull it back until it nearly touches the box and release. 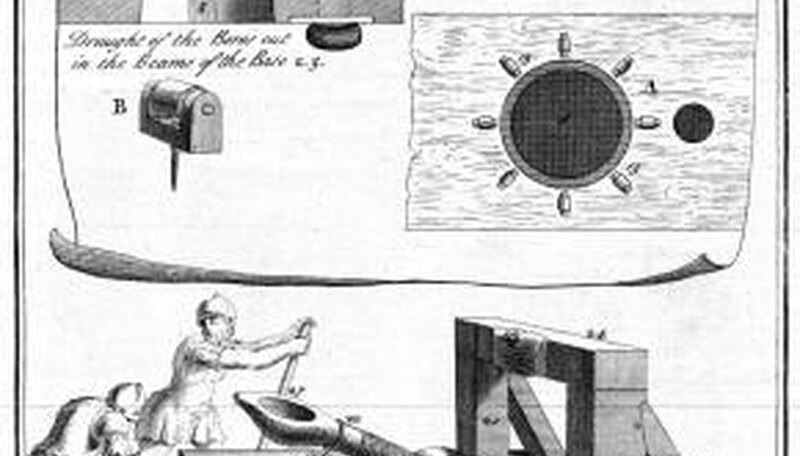 You have made your very own cotton ball catapult. Lawrence, Alexis. "How to Make a Cotton Ball Catapult." Sciencing, https://sciencing.com/make-cotton-ball-catapult-4926764.html. 24 April 2017.